Mike Hranica, metalcore guitarist and vocalist for bands The Devil Wears Prada and God Alone, recently stopped by the Reverb studio to chat with us about his exciting signature model, dubbed the Keystone Classic, that he made with Aluminati Guitars. "I started playing metal necks years ago. I fell in love entirely, and when I came across James—who was making his own guitars under the brand Aluminati—we decided to collaborate and make something that we thought could be really cool on the market as far as remedying some of the things that I've had issues with on tour, and just come up with something we had never seen before," Hranica told us. 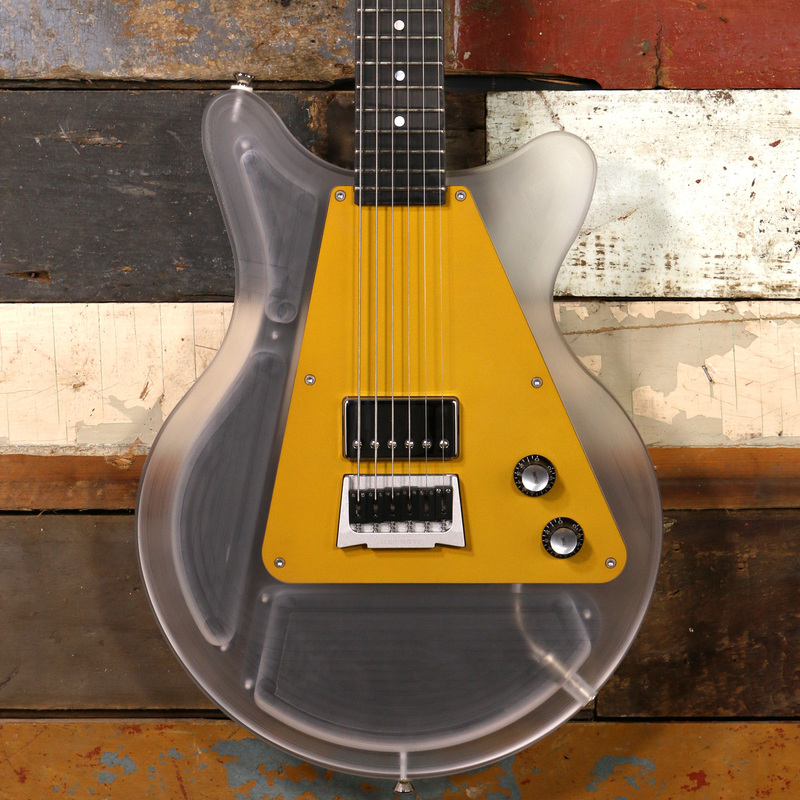 Similar to guitars you might find from brands like the Electrical Guitar Company or Dan Armstrong, the Keystone Classic is an aluminum guitar with a lucite body. The aluminum used for the neck is 7075, which is lighter and stronger than 6061 and helps keep things balanced and playable. The body is also chambered to make it lighter, with the whole guitar coming in at just over seven pounds. The neck features a fretboard made of carbon fiber—which won't react at all to weather and temperature changes. While the nut is made of aluminum (or bone—if you so choose), and it's outfitted with a Lollar Imperial pickup, though that can also be modified to suit players' tastes. Be sure to watch Hranica show off his Keystone Classic signature in the video above, and click here to get a Keystone Classic directly from Aluminati Guitars' Reverb Shop.